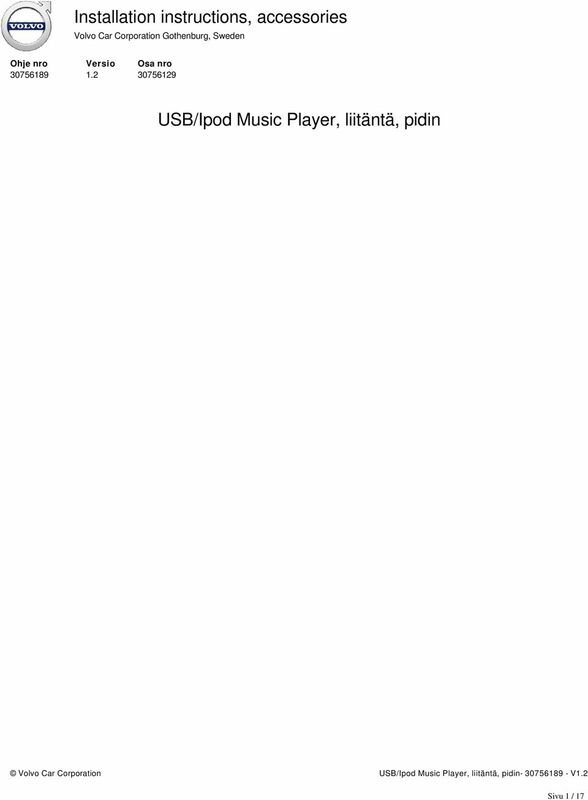 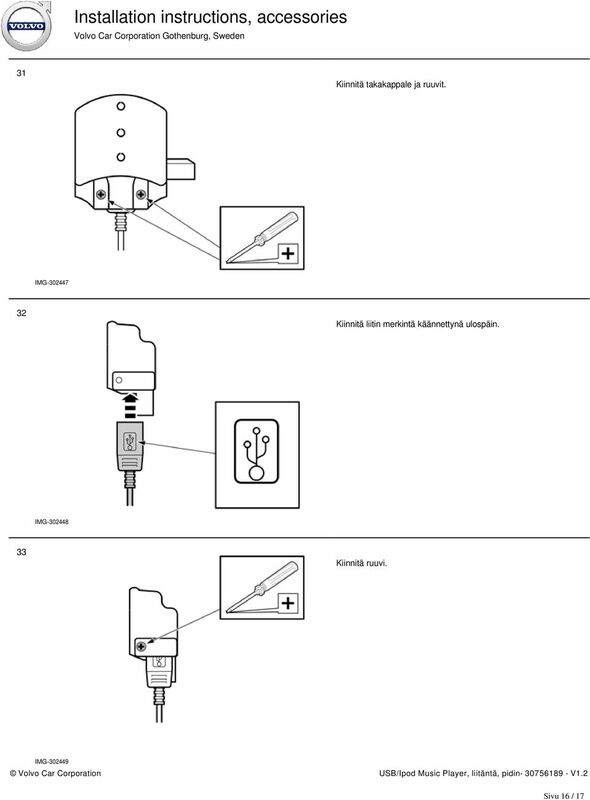 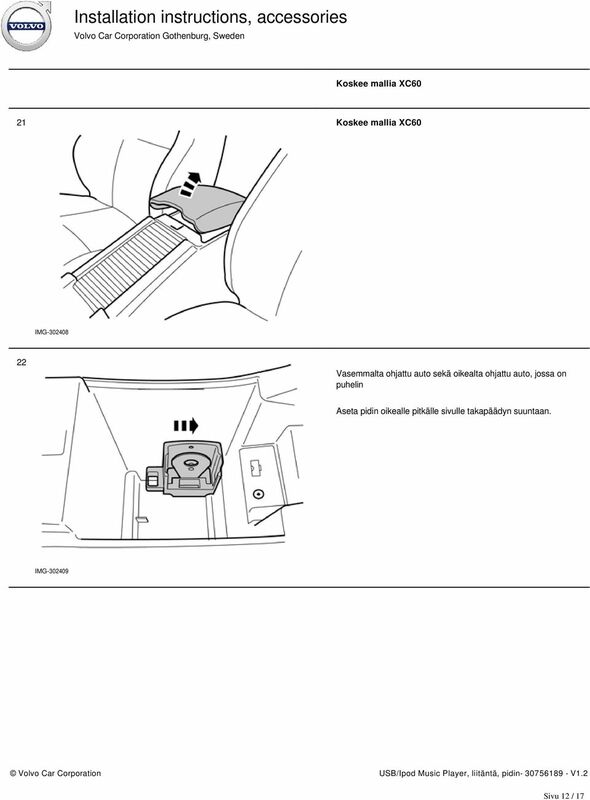 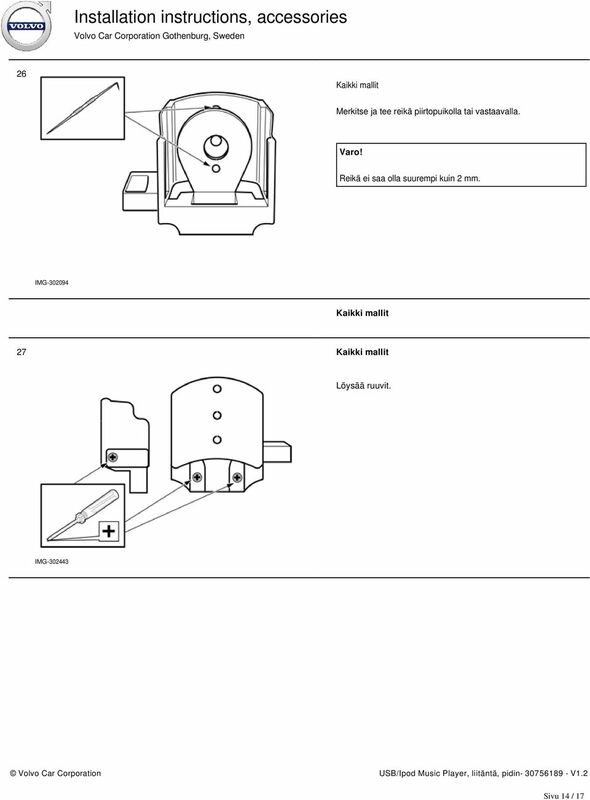 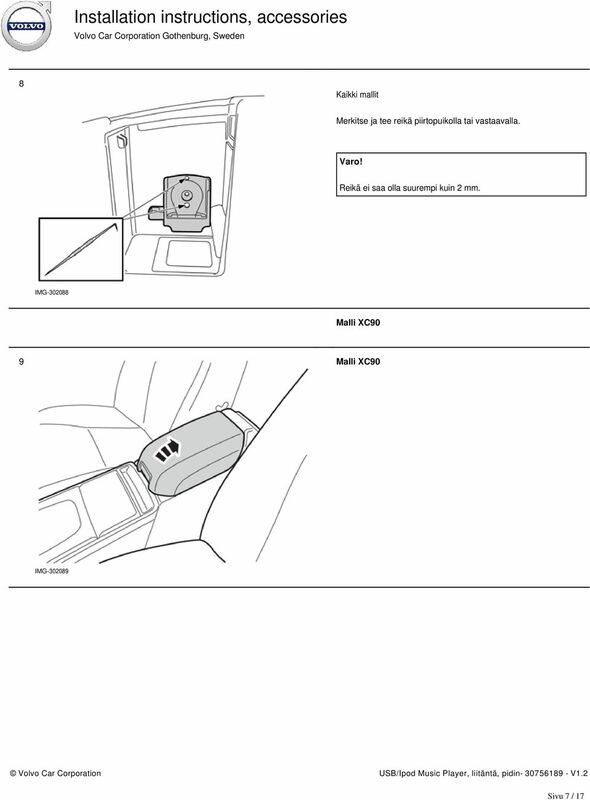 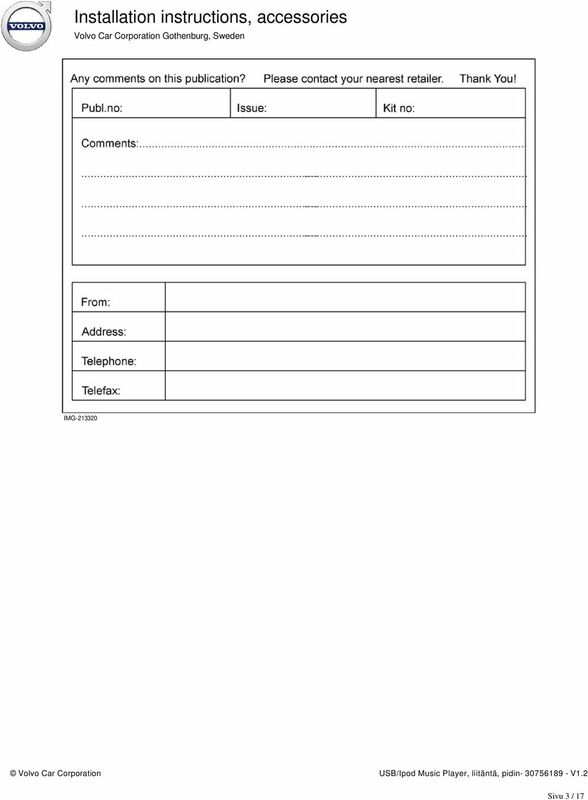 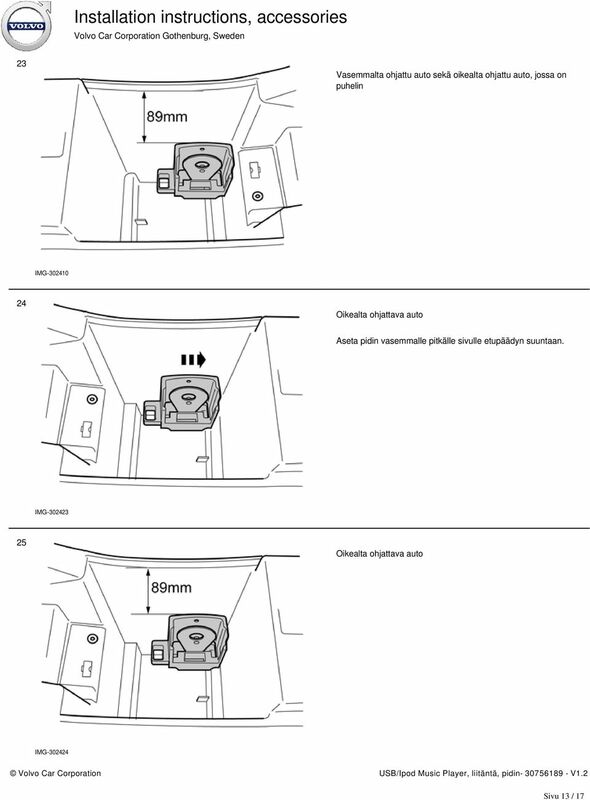 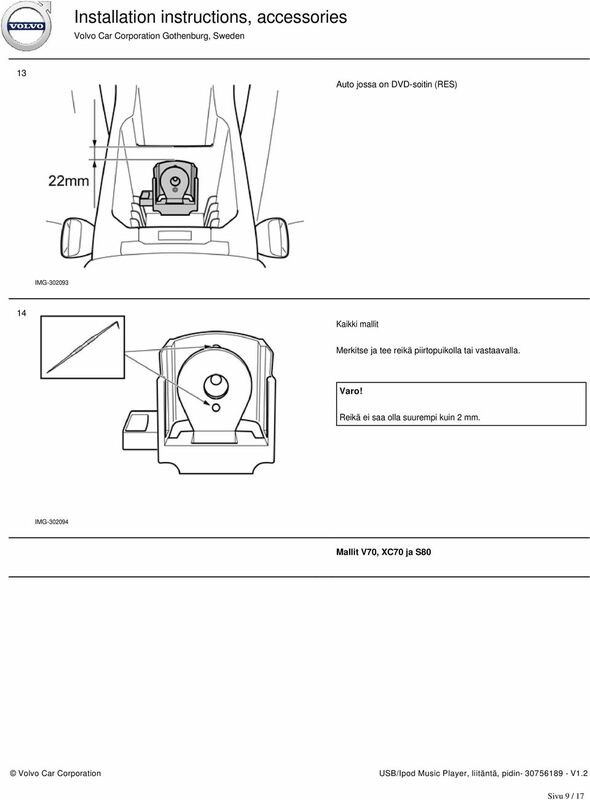 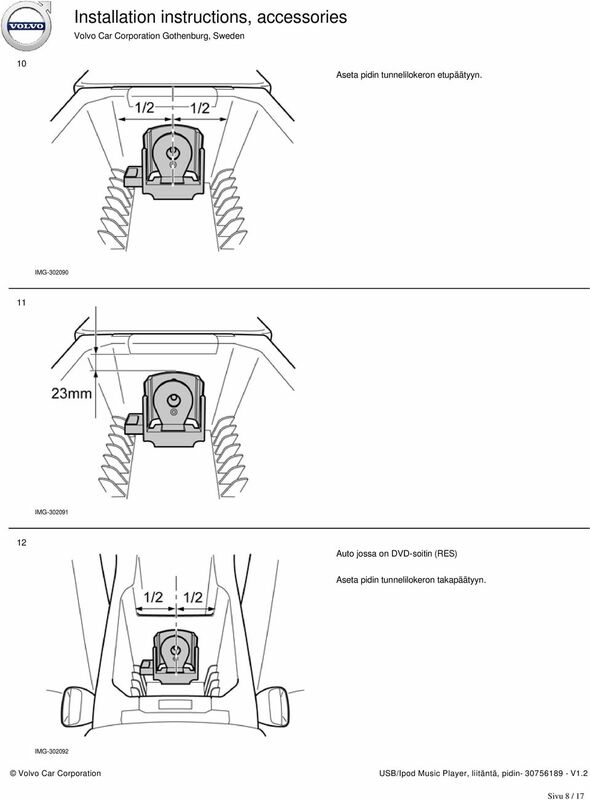 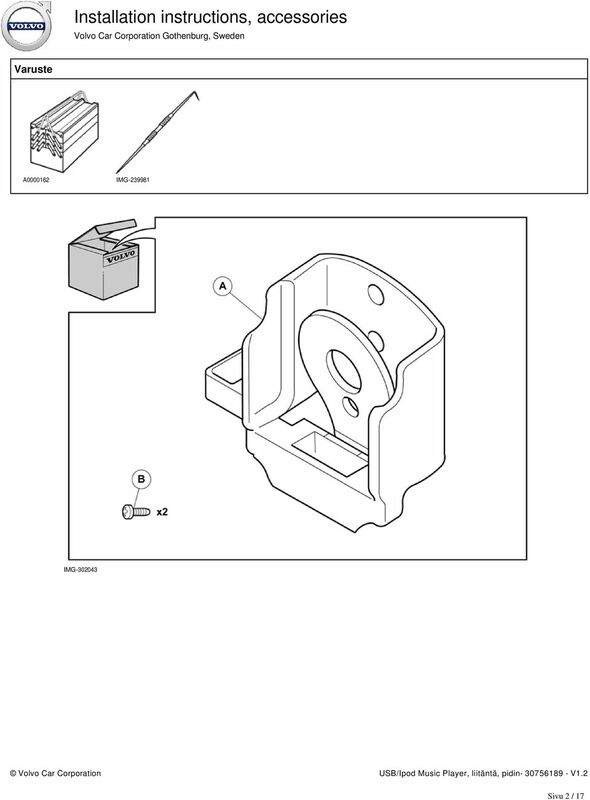 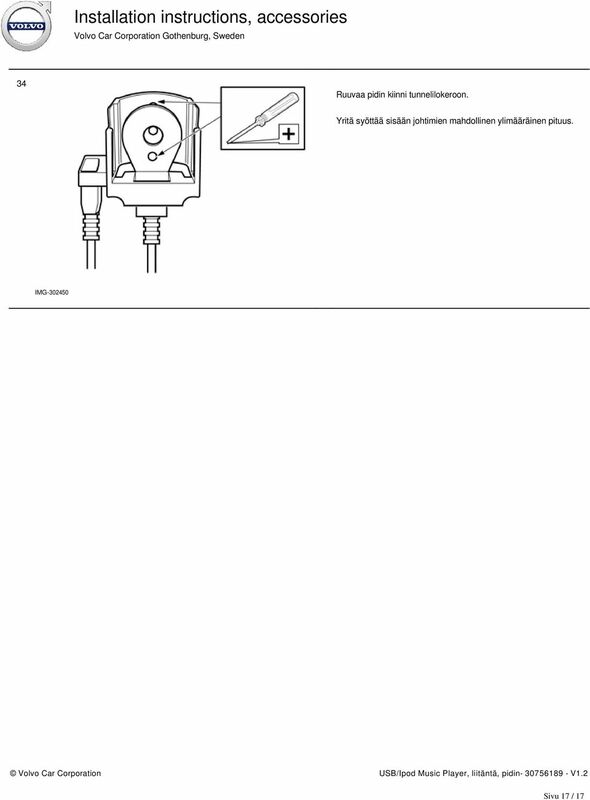 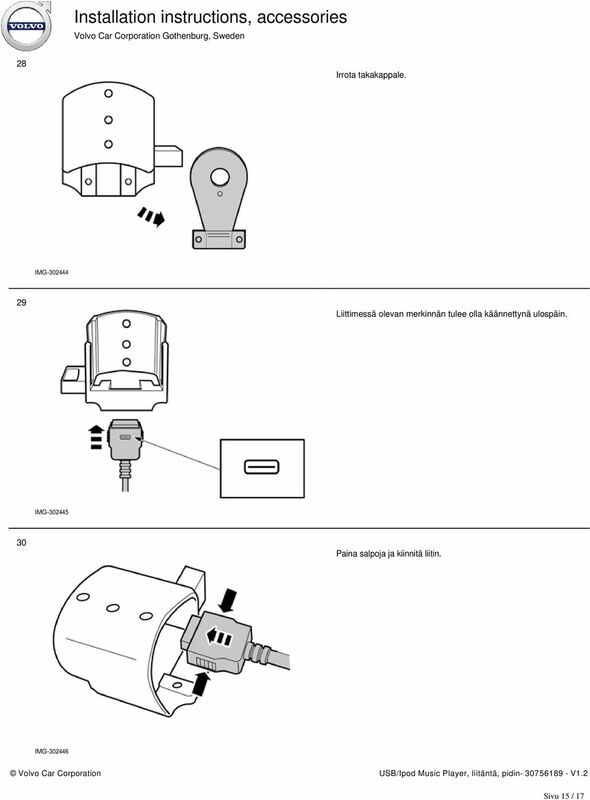 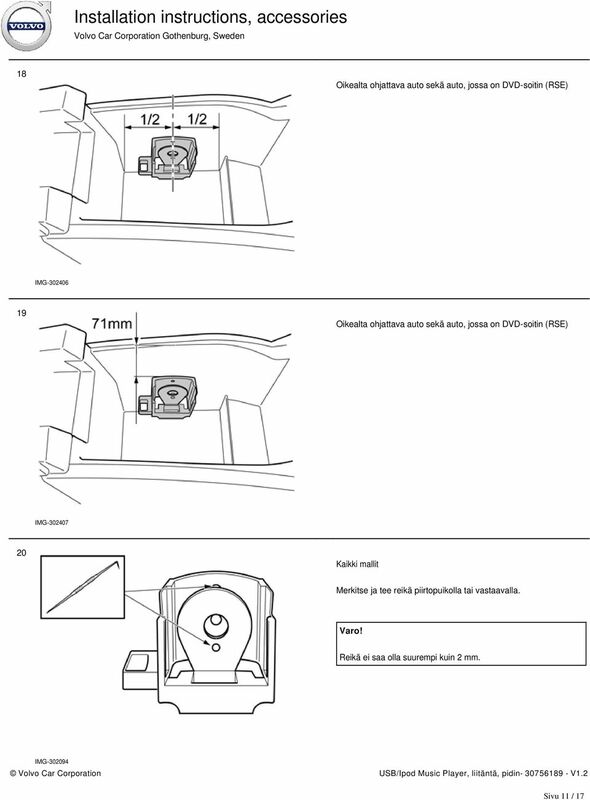 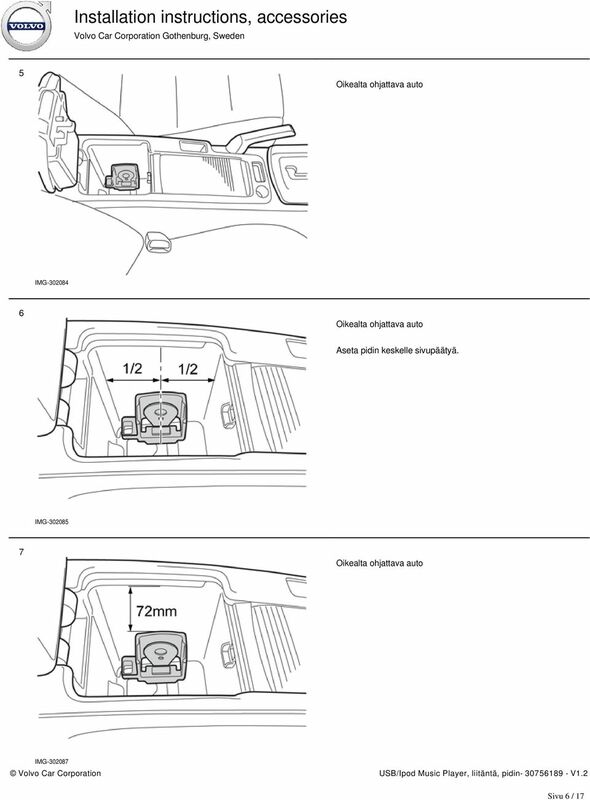 Download "USB/Ipod Music Player, liitäntä, pidin"
Installation instructions, accessories. 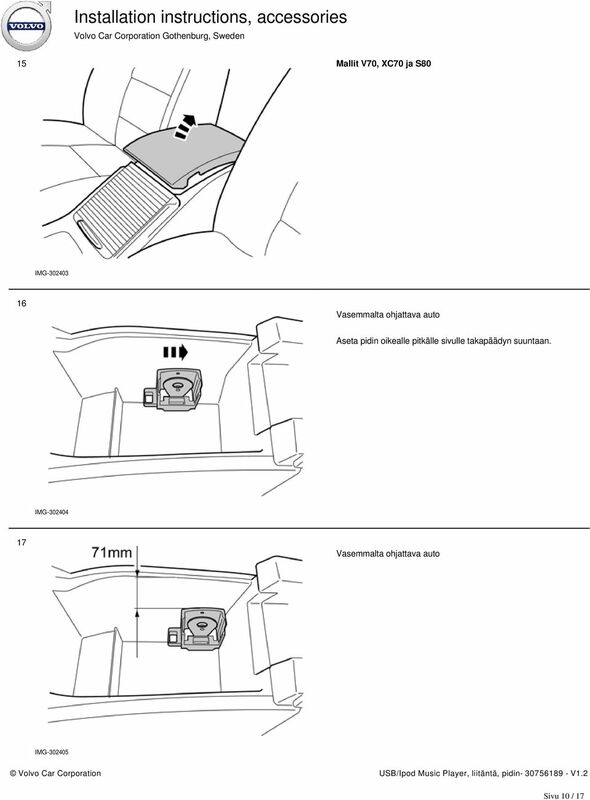 Kattolaatikko. 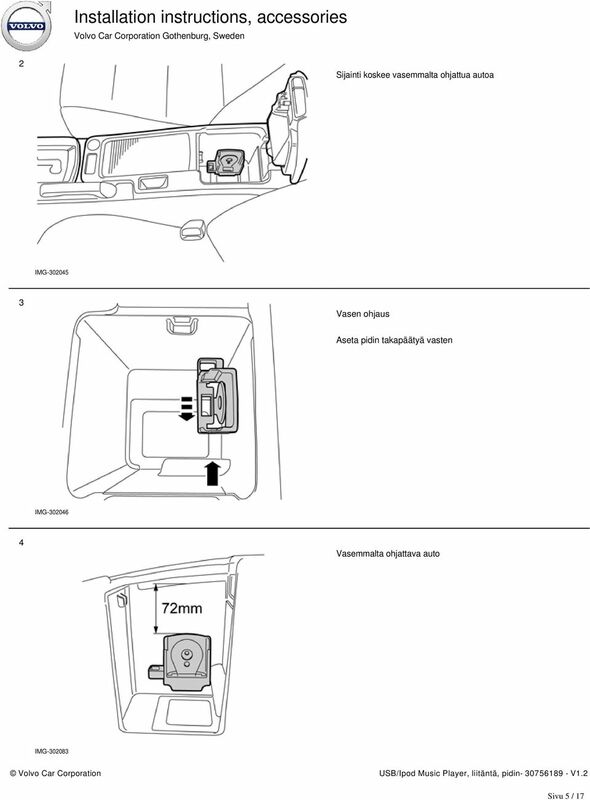 Volvo Car Corporation Gothenburg, Sweden. 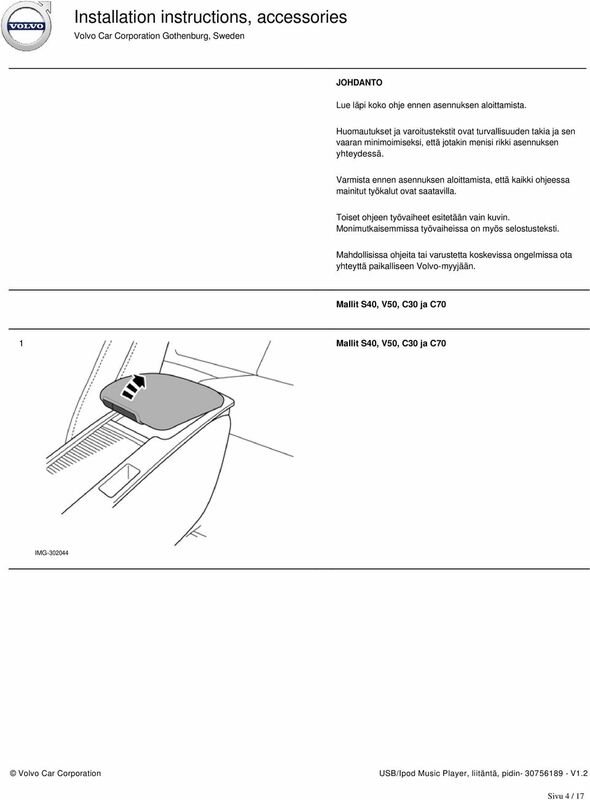 Ohje nro Versio Osa nro 9491340 1.0.